Although genes are critical for determining function of many organs, good or bad nutrition can definitely alter the expression of those genes. Your genes can be tested with a sample from your cheeks or blood. This is true precision medicine, where we use molecular information about the individual to tailor treatments and health care decisions. We test for the most common genes that could have significant implications in your health. Genes can be modified for your benefit. Lifestyle, right diet and some supplements can help overcome some genetic alterations or SNP’s (single nucleotide polymorphisms) from the norm. Remember genes are not your destiny. 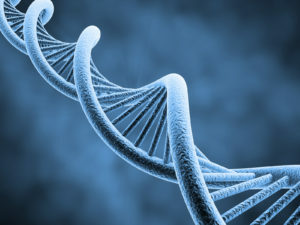 In our clinic we analyze the information from your genetic testing (23 and me, or others) and are able to associate that to your health issues. Methylation has become a hot subject and we now understand the impact of many issues on those pathways, in your hormones, mental health, fertility, energy, detoxification, and much more. We need to understand the root cause of the problems, and many times we need to understand our genes first. Once you receive your report from any of the companies that do gene testing, you will bring it to us. After extensive analysis we will come with a thorough explanation for you and develop a personalized program. This is not covered by insurance.